We would like to pause and wish you and your family a joyous holiday season. Our holiday card image this year was taken at Starry Nights, a project of the Shelby Farms Conservancy, which is working to preserve and enhance Shelby Farms, one of America’s largest urban parks. We salute their efforts and those of others who are working to preserve and enhance America’s green spaces. This month, we feature an article on Synergy and how synergy can create value in acquisitions. We are also introducing the Sellability Score. Principium has partnered with John Warrillow, author of Built to Sell to offer the Sellability Score to our clients and friends at no cost. We urge you to check it out.  As always, if you are considering buying or selling a green industry business or are ready to develop your exit plan, , we’d welcome the opportunity to speak with you. 1. The interaction of elements that when combined produce a total effect that is greater than the sum of the individual elements, contributions, etc. 2. The potential ability of individual organizations or groups to be more successful or productive as a result of a merger. Have you ever wandered why some acquisitions are successful and some are miserable failures? In a typical strategic acquisition situation, the case for a business acquisition is built on an assessment of potential synergies that can be realized by completing an acquisition. Let’s take a closer look at the synergies that an acquisition can produce. Synergies are usually categorized as either revenue synergies or cost synergies. Revenue synergies are opportunities to increase revenues as a result of an acquisition. Revenue synergies arise in two ways. The first opportunity for revenue synergies is the ability to sell more to existing customers of the two combining entities. This can be the case when the service mix of the two companies are not the same. For example, a landscape maintenance company might buy an irrigation company, expanding its product line, in the expectation that it will be able to sell irrigation services to its existing landscape maintenance customers. If the expected portion of the combining companies’ existing revenues are retained and new revenues are generated by selling irrigation services to maintenance customers or maintenance services to irrigation customers, a revenue synergy is realized. The expectation of such revenue synergies is often a key driver of acquisition activity. However, the possibility of this kind of revenue synergy is often discounted in acquisition valuation analysis because it is somewhat speculative in nature – it depends on successful cross-selling after a transaction is completed. The other type of revenue synergy arises when a company acquires a service line that it has historically out-sourced. For example, a maintenance company may have historically outsourced fertilization and weed control services. If it acquires a fertilization company, it can bring the services previously outsourced in house and immediately realize a revenue synergy. Because this synergy can be realized by management action, it is less speculative and more appropriate for consideration in valuation analysis. Cost synergies may arise in a variety of ways. Duplicate activities can be eliminated. Facilities can be combined or eliminated. Duplicate personnel can be eliminated. The combined company may be able to exercise greater purchasing power. Overhead can be spread over a larger base. Cost synergies can be relatively objective znd appropriate for consideration in analyzing a potential transaction. Why then do many acquisitions fail to live up to their expectations when it come to synergies? There are really two reasons. First, it is very easy to over-estimate the value of synergies and the time and process required to realize them. Second, in many acquisitions, there is too much focus on “getting the deal done” and too little focus on what comes next – the blocking and tackling required to integrate an acquisition and realize its full potential to the combined entity. Those acquisitions that are successful ,sometimes wildly successful, are founded on a realistic assessment of the value of the acquisition to the combined business, including meaningful synergies, and have a well-planned integration plan to make sure the acquisition goes as smoothly as possible and the synergies that were identified in the planning and evaluation process are actually realized by the combined business. Orland-based Massey Services has announced its acquisition of American Pest Control Management. Massey provides pest control and lawncare services throughout Florida, as well as in Georgia and Baton Rouge, Louisiana. Based in Southwest Florida, American Pest Control Management provides services from Tampa to Naples. In a widely expected move, Tom Bracket has been named president of ServiceMaster’s TruGreen Lawncare unit. Bracket had been serving as interim president of TruGreen while continuing to serve as president of sister company Terminix. TruGreen Landcare, which was sold by ServiceMaster earlier this year, also has a new leader. Vidu Kulkarni has been named CEO of TruGreen Landcare, a unit of Aurora Resurgence. Green Exit is available now in print and e-book formats from the publisher, FastPencil.com. It is also available through Amazon.com, BN.com, the iBook Store and other online retailers. The Sellability Score is a system designed by John Warrillow, author of Built to Sell: Creating a Business That Can Thrive Without You, which offers a confidential way for business owners to evaluate the sellability of their businesses and get feedback on concrete steps they can take to improve their business’s sellability. Principium has partnered with Built to Sell to offer this service to our clients and friends, including readers of Green Industry Merger & Acquisition News. There is no cost and the service is entirely confidential. Have you ever wandered if you could actually sell your business if you wanted to or needed to? Find out how your business would stack up if you really tried to sell it by taking the free quiz and getting your Sellability Score. The Sellability Score of your business, including where it ranks on the scale of being easy or hard to sell. You will immediately receive your Sellability Score with a basic analysis. Within two days, you will receive a 28 page report via email that further analyzes your Sellability Score along with suggestions for improving your business’s sellability. You will also be able to schedule a 30 minute phone call with a Principium professional to help interpret the Sellability Score for your green industry business. As an added benefit, the first five business owners who complete the Sellability Score Quiz using a link from this email will receive a copy of Ron Edmonds’ new book, Green Exit, at no charge. Special Promotion: The first five new likes on FaceBook this month will receive a copy of Ron Edmonds book, How to Sell Your Green Business.